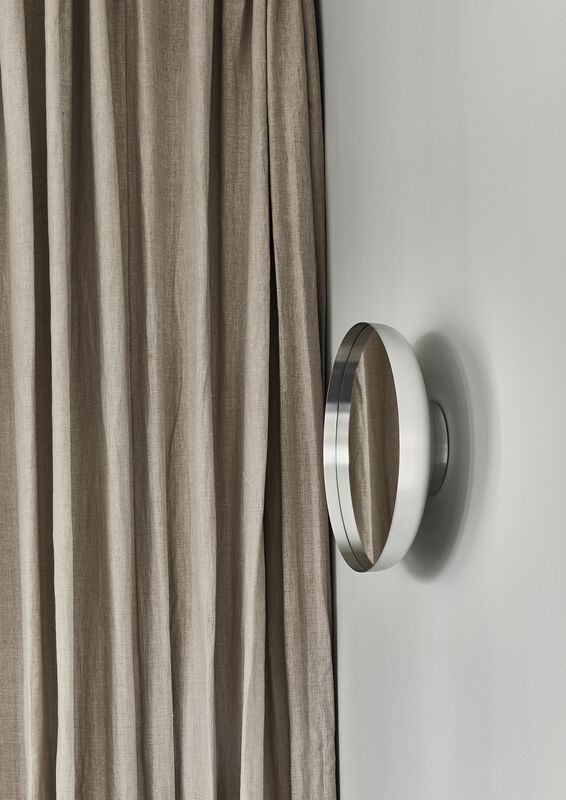 Reminiscent of 1950's elegance, this round mirror has a large brushed aluminium frame. 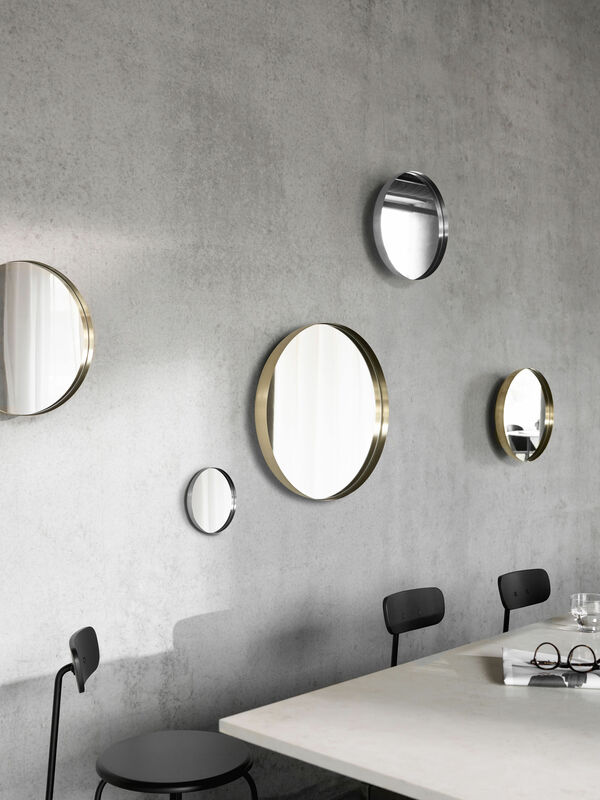 The frame reflects in the mirror and splits in two for a magical depth effect. 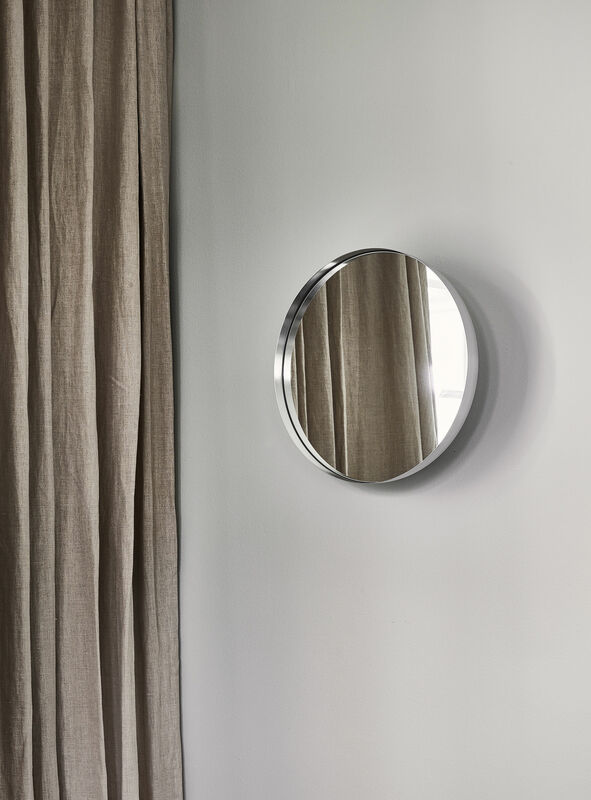 Darkly references the ancient and enigmatic origins of the mirror, the relationship Mankind has had with its own image since the dawn of time. 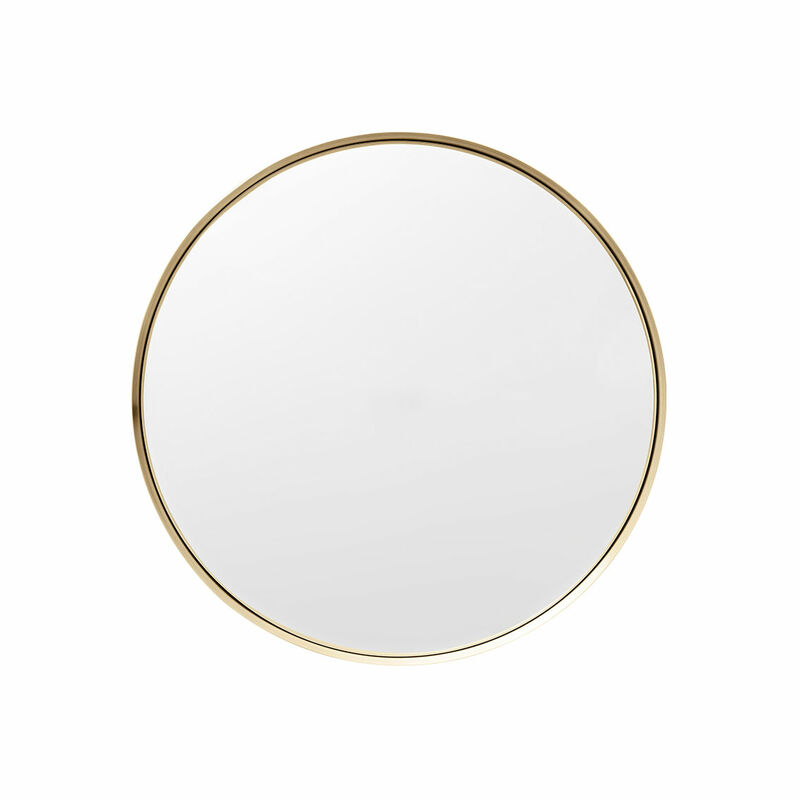 Some historians believe that the first mirrors may have been ceramic bowls filled with water, used at the end of the stone age. This theory was fascinating to British designer Nick Ross. 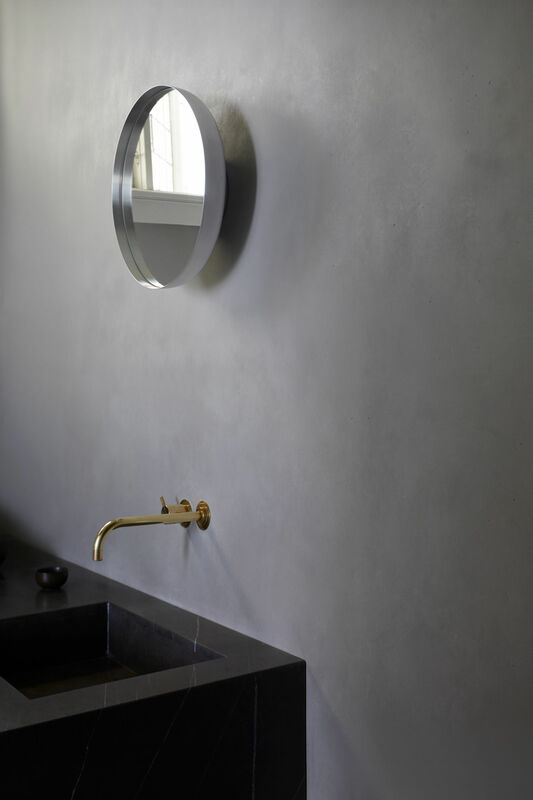 His Darkly mirror reproduces the shape of a large bowl of water. 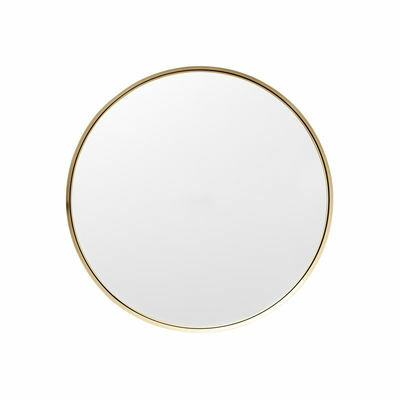 The Darkly mirror is available in several size.